Pioneer offers beautiful scenery for Route 88 motorists. There are a number of centuries ­old tall pine trees and oak trees, as well as lakes for water sports and fishing. Pioneer Station, built in approximately 1925, is located in Pioneer, however, it was never a Pony Express stop, a popular fallacy. It was a general store selling gas and water and offering camping sites. The old Pioneer Station still stands and is currently a private residence. Mace Meadows is located 19 miles East of Jackson on scenic Highway 88. At an elevation of 3,200 feet, the course offers a mountain setting with outstanding scenery above the valley fog and valley heat. 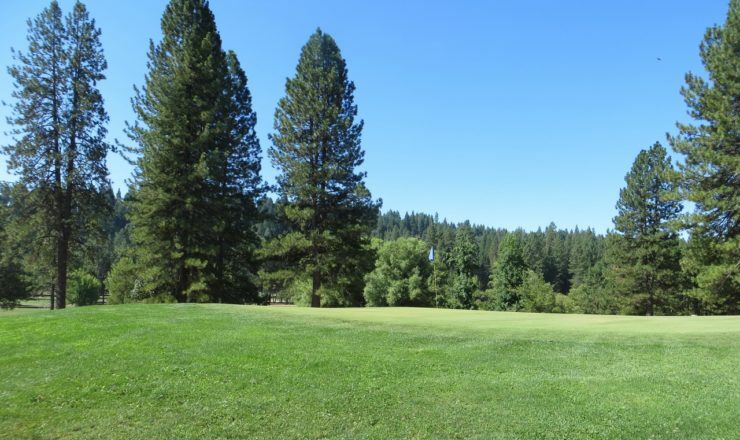 Tall Oaks, towering Ponderosa Pine, Douglas Fir and Cedar trees abound to make this a challenging course for all golfers. State Route 88 (SR 88), also known as the Carson Pass Highway, is a California State Highway that travels in an east–west direction, from Stockton, crossing the Sierra Nevada at Carson Pass, and ending at the border with Nevada, where it becomes Nevada State Route 88 and eventually terminating at U.S. Route 395.